A senior royal aide said in an interview broadcast Friday that allegations claiming that Prince Charles was involved in a scandalous incident were "totally ludicrous" but needed to be denied because they were becoming so widespread. Prince Charles took the highly unusual step Thursday of issuing a statement naming himself as the senior royal at the center of the claims and denying that the alleged incident ever took place. The allegations, made by a former royal servant, are the subject of a court injunction preventing any reporting of the claims. "The allegation is becoming common currency, and there's a lot of speculation and innuendo about it," Prince Charles' private secretary Sir Michael Peat told British Broadcasting Corp. radio. "That's why I want to make it entirely clear, even though I can't refer to the specifics of the allegation, that it is totally untrue and without a shred of substance. "For anyone who knows the Prince of Wales, the allegation is totally ludicrous," he said, adding that "the Prince of Wales has told me it's untrue and I believe him implicitly." The statement by Prince Charles, who was visiting Oman on Friday, referred to recent "media reports concerning an allegation that a former Royal Household employee witnessed an incident some years ago involving a senior member of the Royal Family. On The Early Show, Ingrid Seward, editor of Majesty magazine, said, "The allegations involve Prince Charles' former valet, Michael Fawcett, and the prince himself. There were some very unpleasant stories hitting the Internet and the foreign press that they have been witnessed in a compromising position, if you like, by another former royal servant. So you can probably imagine it's a pretty unpleasant story and it has absolutely no foundation in truth." 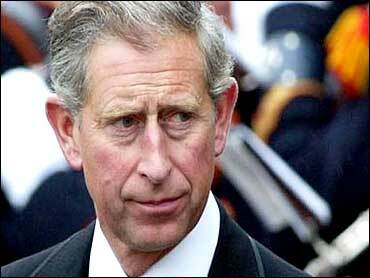 The statement by Charles said, "The allegation was that the Prince of Wales was involved in the incident. This allegation is untrue. The incident which the former employee claims to have witnessed did not take place." Peat, who issued the statement on Prince Charles' behalf, rejected a suggestion that the statement would fuel more rumors. "It's already being talked about a lot. We're not inflaming anything. All I'm doing is saying that the allegation is totally untrue," he said. Even though Prince Charles' unprecedented step to deny the allegation brings more attention to it, Seward notes, "It's extremely confusing for people who don't know or don't want to know. But I do think that they have to be proactive rather reactive. In fact, Michael Peat told me personally a couple of weeks ago this is the way they want it to be, reactive, not just answer things when it's too late. They want to stamp down on these very damaging rumors that are circulating about the royal family, all the time." The royal denial came amid a complicated legal dispute involving two newspapers in two different cases. In the first case, a former aide to Prince Charles won an injunction Saturday to stop the Mail on Sunday from printing the allegedly libelous story, which was based on the claims by the former royal servant. In the other case, a judge on Thursday lifted an injunction barring The Guardian from naming the aide. The Guardian immediately identified him as Michael Fawcett, a former senior aide to Prince Charles. The ban was lifted after The Guardian said it had no intention of repeating the allegations. The Guardian said it only wanted the right to identify Fawcett as the person trying to halt publication of the allegedly libelous story. In the case regarding the injunction against the Mail on Sunday, a hearing was held in private in the High Court earlier Thursday. Associated Newspapers, publisher of the Mail on Sunday, declined to comment on the hearing. The statement issued by Charles said it was not the first time that the servant who made the allegations had made unsubstantiated charges about the royal family. "There is a particular sadness about this allegation because it was made by a former Royal Household employee who, unfortunately, has suffered from post-traumatic stress disorder and has previously suffered from alcoholism following active service in the Falklands," the statement said. "He has, in the past, made other unrelated allegations, which the police have fully investigated and found to be unsubstantiated." Fawcett resigned in March as Prince Charles' personal assistant after a royal inquiry concluded that he had infringed rules relating to gifts from suppliers. Peat, who headed the inquiry, said Fawcett could not be severely criticized because the rules were not enforced and he made no secret of such gifts.